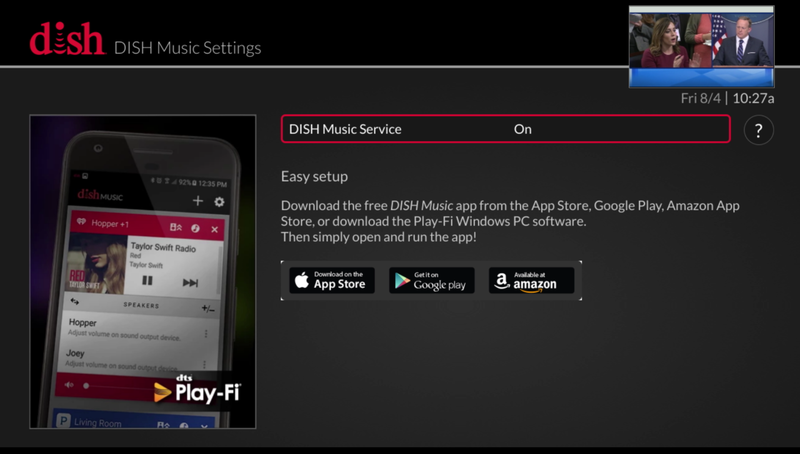 If you're a DISH Network subscriber with a more recent set-top box, you can use the DISH Music app or any DTS Play-Fi to stream from any of our in-app music / radio services. Simply set DISH Music Service to On, and the set-top box should display in the app now, automatically. You should be streaming audio at this point, but if you're still having issue, feel free to reach out to your DISH representative, or send an e-mail to us.